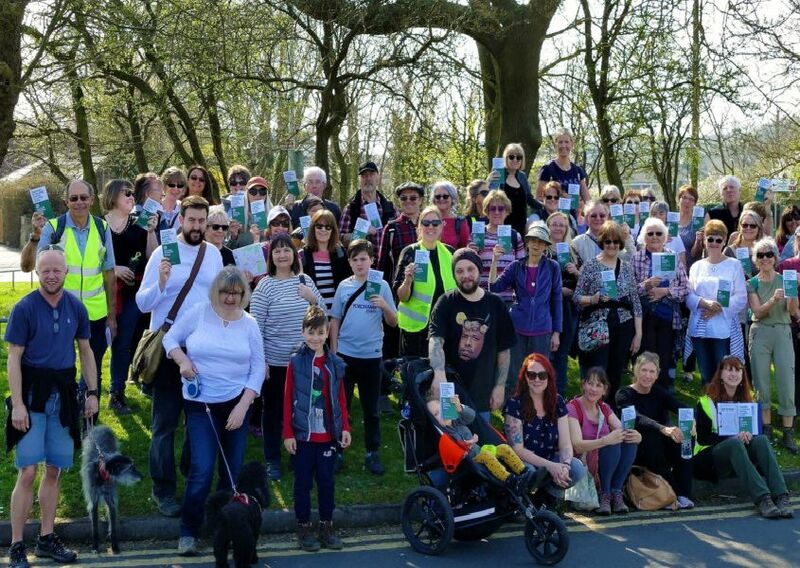 Over 60 people, including children and dogs, joined the walk following a route through the Conquest Hospital grounds joining footpaths between houses until coming out in the Old Roar Gill area, They continued to Alexandra Park where a stop for refreshments was enjoyed. The group have many more walks and cycle routes planned for this year and maps of all the walks have been printed. More details can be had from info@hastingsgreenway.org or www.hastingsgreenway.org. Pictures by Sid Saunders.